The Big 12 Men’s Basketball Tournament continues Friday at the Sprint Center in Kansas City. HeartlandCollegeSports.com will be there for the entire event. 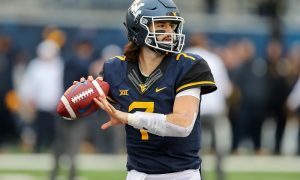 Today we preview the second game of the semifinals — West Virginia vs. Kansas. Season series (1-1): West Virginia def. Kansas, 65-64, in Morgantown, W.V., on Jan. 19; Kansas def. West Virginia, 78-53, in Lawrence, Kan., on Feb. 16. Big 12 Tournament results: West Virginia def. 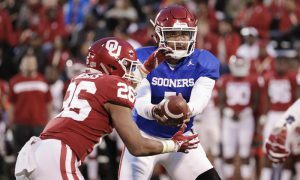 Oklahoma, 72-71 (first round); def. Texas Tech, 79-74 (quarterfinal). Kansas def. Texas, 65-57 (quarterfinal). West Virginia: Matthews Jr. The talented trio of Mountaineer freshmen have taken their turns the past few weeks fueling the Mountaineers’ push toward some respectability these past few weeks. On Thursday night it was Matthews’ turn to shine and he put up a game of supernova proportions — 28 points, 8 rebounds and 2 steals. 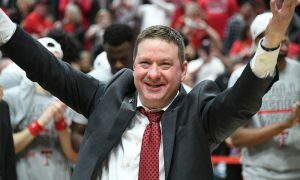 He was in the flow of the offense from the outset and the Red Raiders really had no answer for him throughout the game. You talk about a player that played free and easy? That was Matthews on Thursday. Now, can he repeat it? That’s a big question. But you know the Jayhawks are going to throw some different looks at him to see if he can adjust. Kansas: Lawson. Yeah, he was my player to watch for the Thursday game with Texas, too. Here’s the thing. 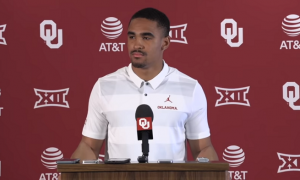 Lawson wasn’t the biggest reason that the Jayhawks beat the Longhorns. That was probably fellow forward David McCormack. But Lawson is the most consistent player the Jayhawks have and he ended up with 16 points and 6 rebounds against the Longhorns. Even when he wasn’t scoring, the offense flowed through him on the perimeter and inside. He’s a double-double waiting to happen every time he hits the floor. Friday is no exception. West Virginia: Entering Friday’s game the Mountaineers are the only team in the Big 12 Tournament to win two games. The Mountaineers have had four different players hit double figures in scoring — Matthews (once), West (twice), McCabe (twice) and Haley (twice). So WVU has done this damage without major scoring from Culver, who logged 13 rebounds against Texas Tech but only had 6 points. What happens if he gets going? That could be a real problem on Friday night. The bench hasn’t produced much for West Virginia, but it hasn’t hurt them, either. Sagaba Konate did not play against Texas Tech, despite warming up and being in uniform Thursday night. Kansas: The Jayhawks were who we thought they were Thursday night — a team with immense talent that has trouble shooting well consistently but usually finds a way to win. McCormack’s play was the culmination of growing confidence, according to head coach Bill Self. But the guards played well on Thursday night and the Jayhawks will need more of that. Dotson, as I tweeted on Thursday, is a Devonte Graham starter kit. He had 4 assists and handled the transition offense capably, especially in the second half. Grimes added 12 points. But Marcus Garrett had a great under-the-radar evening — 5 points and 8 rebounds in 20 minutes. Self brought him to the post-game press conference, his reward for doing the dirty work off the bench. West Virginia: The Mountaineers would be three games under .500 if they were able to win their final two games, claim the Big 12 Tournament title and advance to the NCAA Tournament. Kansas: Kansas is now 4-0 in neutral site games this year, though games in Kansas City, frankly, feel like home games. Who wins? 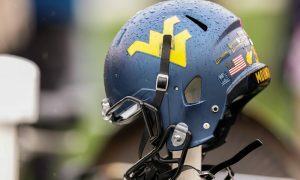 : Self talked up West Virginia on Thursday night, saying the Mountaineers are a completely different team than the one Kansas faced last month in Lawrence. That would be a true statement. The Mountaineers are not to be taken lightly. 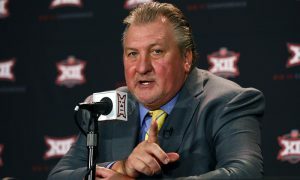 They’re playing with a freedom and a purpose (Bob Huggins says the goal is the NCAA Tournament). As absurd as you might think that statement is WVU is playing like it believes it. Culver can be a matchup nightmare inside, but between McCormack and Lawson the Jayhawks have the ability to keep him in check. The key is to stay out of foul trouble. Kansas has the perimeter players to defend West Virginia’s three-guard alignment. But the Mountaineers are playing with tremendous physicality and a hard-nosed defense they weren’t playing with a month ago. They’ll make life much harder on the Jayhawks than most people are going to expect. 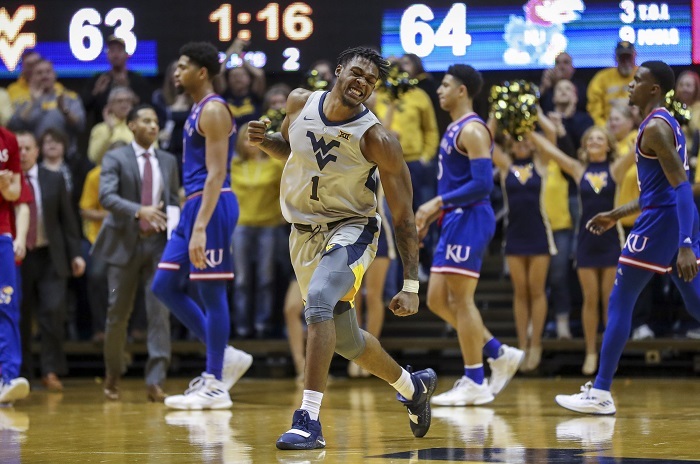 Kansas has more overall talent, but that hasn’t mattered to WVU all season. Kansas’ execution on Thursday night mattered. 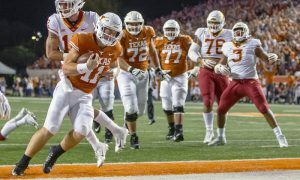 Their defensive action against Texas mattered. 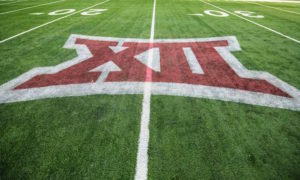 Plus, Kansas plays to more transition than West Virginia saw against Texas Tech. I think the Jayhawks break the Mountaineers’ glass slipper in this one.